My deepest apologies to all our jambalaya followers on my long absence from writing. Needed some badly desperate rest from writing for awhile. In the meantime playing hockey has has been front and center. Since the draft things have greatly slowed down when it comes to news happening in the Oilers camp. There are some questions that are being asked like 'will the Oilers make a trade to bring in another Centermen for training camp to compete'' or 'Shouldn't Draisaitl be sent back for another year in jr before starting his NHL Entry level contract?' Those are good questions and right now it is all speculation other then a few indicators that you can read from. I will take some time in my next couple blogs covering those questions and others here at OilersJamabalaya. For the month of July I will take time to break down the Prospects 'In the System' of the Oilers. Those that are on the BUBBLE, PROSPECT or SUSPECT! The last few years I have taken the time to break down what is out there and where the players future lies. Stick around and be sure to come back to check out my series of blogs as we walk through most of the prospects and where their potential lies and what their possible future holds. Just for some fun let's look back to my analysis of some players at last years Oilers training Camp and what I wrote here at OilersJamabalaya.com. I will highlight in red a quick thought following ….. Unfortunately for Cam, this could be the beginning of the end. His off ice work while good, has not been great and his progress has been stalled while other potential players are about to supplant him if things don't change ASAP. My take on Abney will be, this is his final year to prove himself. He will either be traded or released at the end of season most likely. In the end, Abney was a great guy but being a great guy doesn't mean anything unless you have the skill set to go with it. Was hardly recognizable on the ice these past couple days but is that always a bad thing? It could turn out to be his best chance. Will be in a fight with Lander for that 4th line spot. Is not slotted into OKC's plans in their line combo's currently but that could change drastically should he falter in the opportunities given. And he did falter. Another worker on the ice but doesn't have the skill set to remain in a NHL lineup. A decent showing with skilled players Yakupov and Omark could prove to be his best chance. His outcome from the game in Edmonton Saturday night could either elevate him into the opening night lineup or actually see him with a ticket back to OKC after a few pre-season games. Is currently slotted into the Barons #1 Centre slot and MacT has been very direct that he wants players to play in OKC around the same role they would play should they be playing for the Oilers. Maybe one line higher but no more. Arcobello continues to beat the odds. I am impressed with how well he has done. As much as people like to say his play dropped off as the season went on, they have not been following the facts that his position was changed from center to wing and on third and fourth line roles usually. I am happy with him more in a 2nd or 3rd line center role then players like UFA's Roy and others fans actually were wanting with experience. He is defensively responsible and being small has not affected his play yet. Give him one good size winger with some skill and speed and Arco can be free to do what he does best. I see him as a NHL player who continues to earn his chance. Likely not a long term player in Edmonton but a good stop gap? Hits well, is relentless and has a scoring touch too. Did I mention he is a agitator and likes it too? The Oilers are very high on Chase and have been pleased with what he has shown them this camp so far. Not every jr player gets to play even in a scrimmage let alone game action. If he continues to develop this year back in jr, his path and future looks bright with the Oilers. And his path in jr last year was exceptional and even got the OKC call-up. Will discuss him more in our 'Bubble, Prospect or Suspect' series coming. Sick skills and looks to really have his shot back. His minor injury last season really hindered his shot. This year I would expect his shooting % goes back up. Will be interesting to see who he is paired with in the early regular season games. Injury to his wrist affected him somewhat this past season and it was noticeable with his accuracy. Likely a bounce back year. Had his good and bad moments playing in the centre pivot position. It will take time to adjust but Hall is a world class player and at the very worst it is highly likely he will fill the team need better by playing centre for up to 5 games then playing left wing and leaving this team extremely weak down the middle. RNH has confidence in Taylor, why shouldn't we? Taylor is learning what needs to be done in that centre pivot spot from good mentors in his coach Action and RNH himself. If we all recall, he did mention last year if the team did try him at centre he didn't want it to be a 2 or 3 game stint but given some time to really try it out. My guess? He will play a minimum of 10 games at centre and then be evaluated after that. It was a failure and Hall himself seemed relived after they moved him back to wing. IMO the center experiment is over and we won't see Hall in the pivot position again. It does not appear to be his calling card, Imagine his season if he started at LW at the beginning. Time is running out for Curtis and his injuries have likely been his greatest downfall to really exhibiting what his true value is to the Oilers. His off ice work was said to have improved last development camp but now we missed seeing what progress could have taken place by, no on ice action. If not this year, then the next Curtis will likely be on the outside looking in. Only thing that saves him is a big year in OKC IMO. Well he didn't have the big year but did get resigned for another. Will discuss him more in our 'Bubble, Prospect or Suspect' series coming. A big tough, determined player that Dallas Eakins really appreciates has brought him to Edmonton on the basis he will push the bottom 6 forwards and or at worst play the power forward role in OKC, Most likely in the end will be a call up for bottom 6 winger role in Edmonton this season. Injuries limited any late season call-up but early on Ryan lacked the speed needed to compete in the NHL. Once again this year may get a cup of coffee in the NHL but that is the most he is likely to get in the NHL. Will be monitored very closely this year and Oilers want to be cautious with him but are excited about his future with the organization. Debate is on if he reports to OKC or ends up in WHL with Everett. Likely he goes to WHL but some of that decision will be who gets assigned to OKC with other players from camp, bets are he goes to WHL. Didn't have a stellar year in the WHL in points but definitely also struggled through some injury. Progressed as season went on and had a good short stint to end the year in OKC. Looked good at evaluation camp and is ready to prove himself in OKC this year. Will discuss him more in our 'Bubble, Prospect or Suspect' series coming. Anton is pencilled into a 2nd line role in OKC to open the season but only Lander can change that destiny. Concerns are more about his confidence and Oilers would like to see him less concerned with points and more on just playing the same game, shift in and shift out. If he finds his game in pre-season, he starts in Edmonton, if not, other options are considered. Started weak but produced his best season in the AHL. Got himself in a position to challenge again at this years Oilers camp. Will discuss him more in our 'Bubble, Prospect or Suspect' series coming. His all around game is coming around but it looks more and more everyday he will have to decide to become a role player in a 4th or 3rd line tops role. Would be great if he accepted he may not have the Hockey sense to be a elite skill guy at pro level. Is pencilled in as 3rd line centre in OKC to start the year. Ended up being flushed, it was only a matter of time. Skill never showed at the minor pro level. While the last regime was not happy with what they saw in Omark, this new regime is very happy with his potential. Dallas has great respect for his skills and wants to provide a prime opportunity for him to show himself well. It is still a win-win for both sides no matter how this comes down. If Linus can show even just ok, defensively he will get a shot, if he shows what he did in the past without the puck, he won't be in Edmonton past the pre-season games. OKC would be happy with 1 more year of Omark and when the year is completed he is a UFA who can go and try his own luck. I wouldn't count Omark out and don't forget, it's not his toughness that is in question, it is his ability to cover his defensive role. Linus never covered that role well. Was flushed eventually and even Buffalo a team lacking scoring flushed him too. His NHL Career is over just like Schremp. A player with tons of offensive prowess but no defensive ability to know what to do when not with the puck. Perron is a interesting player. this guy has a lot of Yakupov in him when it comes to life and the game of hockey. He almost eats, breaths and lives hockey. Really love the fact he lines up so perfectly on his off wing just like Yakupov. If these two can have some chemistry, it may provide for some interesting hockey. David has no concerns going to the tough area's of the ice and does not mind some rough play. Perron appears to really like the red carpet treatment he has received and you can tell by his actions he loves he is in hockey country. Perron was the player by season's end he ended up making MacT look good in his shrewd business deals. MacT landed a couple more later but David really seemed to find his spot here in Edmonton. Was one of the better stories in another bad season of hockey. Like so many before him, Tyler is about to fall off the face of the hockey world really quick, if he can not be consistent with his play. Almost makes you wonder what happened somewhere. Was there something others knew that made him available at 31st OV at the draft. I think the injuries and confidence is what has stalled his major growth. He still has time to prove himself to the Oilers brass but time is starting to run out. He needs a strong year in OKC if he stands to even have a fighting chance. Will likely only get 1 or 2 pre-season games and then get assigned to OKC. Pitlick is so close but needs to overcome these injuries he keeps falling prey too. Will discuss him more in our 'Bubble, Prospect or Suspect' series coming. Roy has looked good to date but at scrimmage on a line with speed and against bigger, quicker players he has realized pretty quick, he isn't in the CHL anymore. Marco has performed above expectations and a good showing back in Jr should go a long way into his growth development. There look to be some high praises of his game with oilers brass. Big injury last year slowed down his growth but is looking to make up for lost time this year. Will discuss him more in our 'Bubble, Prospect or Suspect' series coming. Honestly, upon tweeting about the scrimmages, I was not trying to follow Yakupov very much but anytime he is on the ice, he draws the attention of every fan too him. He has become the newest darling of the fans and girls are going crazy over this cute Russian. His game seems to even have another step since last season and with some confidence behind him the limits are endless. There is no way this organization will be even considering a trade of this player unless something were to breakdown in their relationship. Nail's best game is when he is confident and given opportunities to rise to the occasion. One thing that was noticeable in the scrimmage is his relentless pursuit of the puck when the other team had it. Let's hope that spills over to the early pre-season games and becomes a contagious habit. The relationship with coach did break down and then the off ice things affected IMO the on-ice. Appears ready to make up for a poor sophomore season with training back in Edmonton last July and working out with some of the prospects already. Some MSM have pencilled him as the 7th or even 8th d-man in the depth chart, not so sure the Coaches and scouts agree. They are very high on his physical battle for pucks, his passing ability and his skating and see him suited well for the NHL. Just too bad his struggles with Visa have been a pain. Was a bust and his physical play summed limited to a every 6th game basis. In the end he cost himself a job in the NHL. The Oilers are very high on this prospect and will be following his Jr season closely. There are already plans in place to make sure he gets everything he needs to development to the best of his ability. Not sure it's everyone who see's Ben this important but some who are directly involved with him do and he will be given every opportunity to show his A game to this organization. Will discuss him more in our 'Bubble, Prospect or Suspect' series coming. It is amazing to see the growth in hi game. He is a battler but I don't know if he will ever see much time in the NHL but he continues to defy the odds. At the very worst he is a solid D-man for the AHL. Some of the development staff see nothing but bright future for this young player. Will discuss him more in our 'Bubble, Prospect or Suspect' series coming. It appears there may be more to Denis coming back to the Oilers then just as a extra d-man. Between his NHL experience, his Russian language and his off ice personality and teachable character, it appears he may be the new mentor they wanted in town with Yakupov to keep the transition smoother with Khabby gone. Don't doubt Khabby's influence that aided Yakupov through the transitions early on. A total fail on Dennis part. Was a step behind and in the end was a gamble that never paid off. Tyler is a battler and he likely will get over this but right now he is in for a tough season moving forward. He is the first one to tell you his head is not in the game like it was a couple years ago. Turning pro can do that to you against the next elite level of hockey players. I would still give him 2 more seasons to see if he can continue to develop the mental side of the game. There is no concerns with his athleticism or his positioning, it's all upstairs and that takes time to work on. Another rough year but let's discuss him more in our 'Bubble, Prospect or Suspect' series coming. 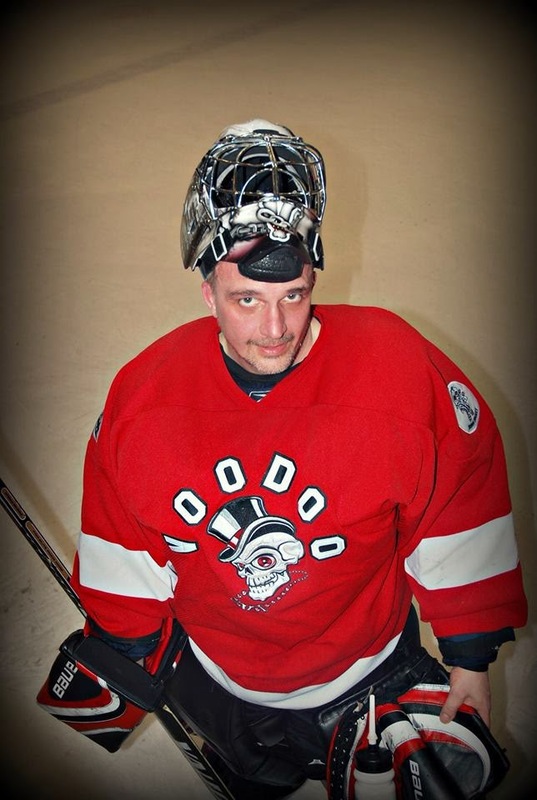 Jason is one of those Goalies who is adjusting to the new leg pad size. Didn't know about the change this year? Between the top of the knee and the highest point of the leg in the inner groin area, you have have your pad cover 55% of the area. The rule changed this year to 45%. This means Jason lost 1.5 inches on the length of his pad and it will affect the '5 hole' no matter how you look at it. Lots of confidence in Jason being able to run a string of even p to 10 games in a row if needed. Is considered a high quality back up goalie. Another bust and that was not expected. He should have been a capable backup. Maybe the pad change really hurt him? Who knows but his career is likely finished in the NHL. In the meantime and in between time that's it for another edition of OilersJamabalaya hockey. Are the Oilers making another move? The Oilers just finished signing a last minute pending UFA last week and then picked up their pick skilled center at the draft and a handful of draft prospects who may or may not ever see the light of day in the NHL. You can take a closer look here at my draft analysis on the Oilers. With free agency coming up they still have to either trade or land a few more players. Who is left? Who are you OK with? What would you attempt if you were GM of the Oilers? These can be difficult decisions for management. The team is extremely under the microscope now so every move they will be careful to feel like they have made the fans happy without sacrificing the future. I listed the player in red that I would at least entertain if gotten for right trade and/or price. Without going into detail on every player feel free to comment your thoughts. Who can they trade for? Who can they sign as a UFA? The list is plentiful so there will be no shortage of availability. If you strike out at the top end guys, wait a day to a week and you get the bargain prices. Who would you consider giving a contract to and for how much term and or dollars? My biggest point is there is lots of players available and many will be a upgrade in the bottom 6. So your the GM, what's your offer? Do you continue waiting or step in and swing for the hills or offer short term but overpay on a 1 or 2 year contract? In the meantime and in between time that's it for another edition of Jambalaya hockey discussion. It's been a while... Hello. I've been on a personal hiatus from the Edmonton Oilers. Never once in my life has my loyalty to the Oilers changed. But last season watching the train come off the wheels made me not care. For once, I didn't want to wear my Oilers gear. For once, I said to hell with it. They don't try, why should I? In the past 4 years every single player has been changed. I'm not naive to think this year will be any different, but at least this year, I have some hope. I'm back. I'll be here once again bringing my point of view on the Edmonton Oilers and affiliates. Web site is getting a well deserved make over. This is a new season. GOILERS!!! Not going to take much of you Oiler fans time with this post. I have been asked several times who I believe are the top priorities for the Oilers to draft should they be on the board at #3. This would mean, no matter what, they will be drafting on of these three players in just over a hour and fifteen minutes. There is a possibility of a trade to move into second round with using a prospect and/or a current player along with a later draft pick. It likely hinges on if that team makes a trade or not with another team for a current roster player. Follow me on twitter at www.twitter.com/revingev if you do not already. I will be tweeting live during the Draft. Happy to converse and talk during the entire draft. Can't go to far without hearing a new rumour swirling right now for the NHL during free agent frenzy, 2014 NHL Entry Draft and apparently a good time trade week. I just wanted to touch on some possible trade situations that are being discussed or looked at. Right now the Oilers still covet a Top 6 Center and a Top 2 defence man. The draft will answer 1 of the 2 immediately. I know your saying 'what?' Yes, Aaron Ekblad, Sam Reinhart and/or Leon Draisaitl will be likely to good to be sent back to their CHL team. Please don't give me the 'they have to earn it first' lecture. Of course they have to earn it and they will. All I am saying is, I believe they are all ready for the jump, they are that good right now. Maybe Leon could need 1 more year but not likely. So having said that, the Oilers could have potential interest in Vincent Lecavalier as a temporary second line center to give them a year or two before finishing off the last time on the third line. Would that work? Do you hate the idea of a slower Vincent playing for the Oilers? Willing to trade for his salary and give up Klefbom? Think he is washed up? I actually don't mind this idea but would be a possible solution if they strike out at Stastsny. Sounding like Edmonton has 5 impending trade possibilities but two are based on trading the pick. This will be a interesting next 24 hours. Let the good times roll! The Oilers are definitely in the mix on almost anything they can and keeping their hands on as much as possible. In the meantime Oiler fans, enjoy the last night before the Draft. It's year 5 of the rebuild coming up. Oilers plan on improving so maybe one last ride upon the good ship Koolaid? MOCK Draft 2014 NHL - who do the Oilers take? 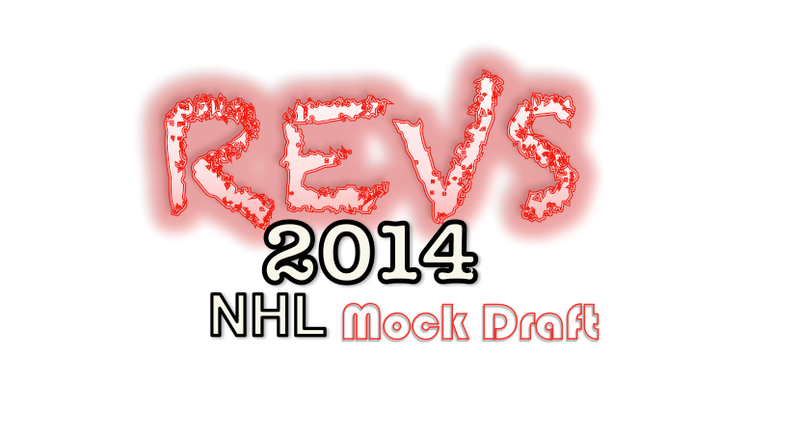 Just finished last night my 2014 NHL Mock Draft. As promised to several of you on twitter and here at Oilersjambalaya.com, I would post the day before draft day in Philadelphia. Could the Oilers be one of the 12 teams chasing UFA Jiri Sekac? 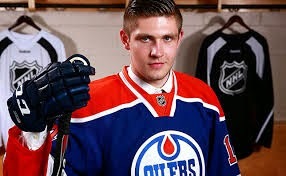 What are the chances this 6'2, 190 lb Czech player lands in Edmonton? He has taken a long road to get to the NHL but is being highly sought out right now according to those in the inside circles of hockey. I highly doubt he is coming to Edmonton but never say never for a team that has been trying it's luck outside the NHL for talent to bring in. European Sources: Jiri "Cakes" Sekac has eight NHL offers, #Devils #Flyers #Senators appear to be frontrunners for his services. It's rumoured that he will likely select to play in New Jersey with the Devils as Jagr is once again a prime recruiter as per usual. Don't think he ends up here in Edmonton just more curious if he actually may have been at least targeted by the young Oilers team. Way back in August of last year I put out my rankings for this coming draft. It's always interesting how half way through a season people like to rip apart a ranking list but have no idea how much more difficult it is to rank players before they even start the new season going into their draft year. I was quite pleased the past 3 seasons with my early pre-season rankings (10 months in advance) out and once again am happy that I was able to still anticipate most the top selections far enough in advance. Well, the season of hockey has been completed. Tournaments are done, playoffs are finished. Combine is past us and now players are being interviewed by NHL teams this week. The draft is just over a week away and now we are ready to see whose name is called out by which team a week from this coming Friday. I have 4 players being moved out of the top 15 with one of them being put in honourable mention while having 1 from my honourable mention last August being moved into the Top 15. NOTE: Some may question Sam Bennett in the ranking and that is fair, but last August you would be hard pressed to find any rankings with him in the top 15. I have moved him from #15 to #6. Blake Clarke was my biggest disappointment and scouts were shocked his season provided a move backwards rather then forward. This year's Nick Ebert? Time will tell. The biggest change for me was putting Nikolaj Ehlers at #4 when he was not on my last August radar. Truth is, he was a player, I just plainly missed and didn't follow or hear of him much before this season coming into Halifax. Many of his points were provided without Jonathan Drouin so his point totals are not misrepresented IMO. William Nylander dropping had more to due to the lack of point production he was able to show this year but in fairness to Nylander he still has great skill but was tossed around several club teams in Sweden. Questions, comments? Disagree, agree? Let me know, always willing to dissect the players bit by bit. After all, isn't that what makes this so fun? 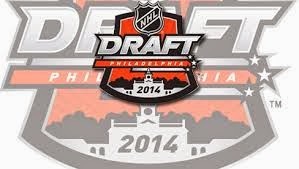 I will be posting a NHL MOCK Draft next Thursday the night before the Draft. I still think the Oilers will be selecting one of Aaron Ekblad or Leon Draisaitl this NHL Entry Draft and it is very likely they will be playing the 2014/15 season full time with the Oilers past the 9 game mark.